Sputtering is one of the most common and widely used technologies for thin film manufacturing (Dünnschichttechnik). Target materials are available in a variety of grades and purities to meet specific customer requirements. 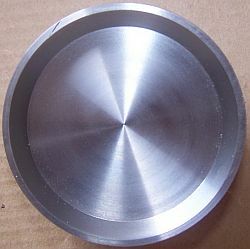 Titanium Sputtering Targets for the glass coating industry.